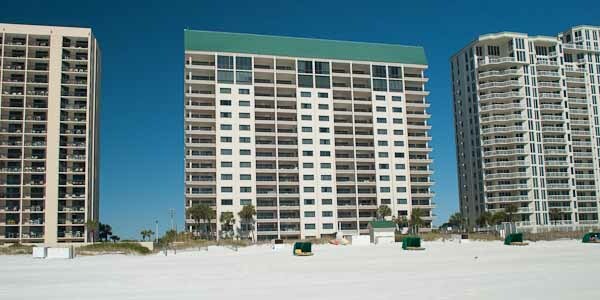 Located in the center of Destin and near the airport, the Emerald Towers condominiums were built in 1994 and offer 82 two, and three bedroom luxury units on 15 floors. All are directly beachfront, and there are penthouse condos that offer some of the most amazing views you can imagine as well as their own separate spa facilities. The resort amenities are impressive. 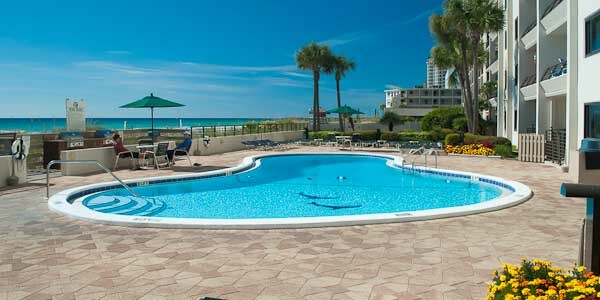 A seasonally heated gulf-front pool, fitness center with sauna and steam room, two lighted tennis courts, gas grills near a private wooden beach boardwalk, premium cable TV services and high speed internet are just some of the luxuries provided for owners and guests. There are even baby-sitting services available on-site! The three bedroom units are situated at the building corners and offer Gulf views both direct and down the beach. Prices range from around $400,000 to $700,000, with penthouses priced at or above a million. Destin's best restaurants, stores, and entertainment are a short walk up the street, and like the airport, golf courses and the Destin harbor are an easy drive away. From location to amenities, this is one of the best resorts in the city, yet it offers a bit more privacy in a smaller community setting. Call or contact us for a tour or more information.